This is a guest post from a person who wants to be known as Ghost Ryder. First let me state that I am not affiliated with this blog, or any blog for that matter, I am a registered Republican, but other than that I have little to do with the petty politics that seem to ruin, oops, I mean run this county. I’m somewhat embarrassed that I even agreed to write this blog because I feel that the only people who actually READ these are the petty folks that make the Sussex GOP look bad. To be honest I rarely read them as I feel that the view of a few isn’t always the view of all, and the negativity in the comments sections makes me roll my eyes. The way I see it is that Sussex County must be doing something right to have 7/9 Representatives who are Republicans and 4/5 Senators who are Republican. So let’s start with the good stuff, it appears by these numbers we must have done something right to get these fine folks elected. Let’s not forget we control the Sussex County Council by having 4/5 members who are Republican. Compare any of those numbers to Kent and New Castle Counties, and we are obviously doing something very well. How about we set aside the difference of opinions, back room deals, mud-slinging, and leaked emails for a moment and look at the BIG picture…how did we end up with a majority of R’s elected? What and/or who enabled that success for us in Sussex County? I do not know the answer, but I do know that it was not one person, one committee, or one mastermind behind it all. It was groups of people who rallied behind these leaders and did the work to win elections. Period. End of story. 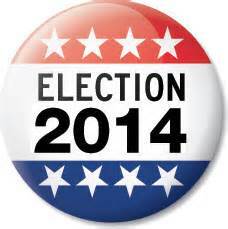 2014 is an election year, how will Sussex County be successful again? This is what we need to focus on, and now is the time. The way I see it those running for office need to get the same great people behind them to help them win, and not rely on any county-wide committee, one group, or one person. I will vote Republican, but I greatly prefer elected officials that are less concerned with social issues and more concerned with financial issues. But to each their own. I wish the people who work so hard to write blogs and bicker amongst themselves would understand how petty it is and just pick a candidate or two and ask how they can help. Use that energy to door knock, set up a fundraiser, put a sign in your yard, encourage friends and neighbors to put signs in their yards, or be a greeter on Election day. There are many ways to help other than being so self-involved in the embarrassment of the Sussex GOP. My only hope is that these thoughts inspire a few to take it offline, and get in the trenches and help YOUR candidate, whoever that may be. Stop stating why folks should vote against someone and start focusing on reasons to vote FOR someone. In the end the voters will decide and my hope is we continue our success in electing Republicans. This whole online blogging/Facebook arguing just makes you all look like childish bullies who have something to prove to the small circle who actually cares. Social media has given us all a voice that is easily heard, make yours positive and relevant and it just might reach a broader audience. I have a sign in my yard, I am attending a fundraiser next week, and I am telling anyone who will listen in my circle of friends who I’m voting for in the Primaries and why. What are you doing? Time to get to work. 8 Comments on "Guest Post"
Ah! My number one fan. LOL Frank! S/he has a point. As entertaining as the bickering and mudslinging can be (albeit in a dysfunctional sort of way), it would be refreshing to hear more of the positive about candidates and political groups than negative. Unfortunately, most folks end up taking the negative commentaries personally, which is actually the LAST thing we should do in politics. But hey, we are all human, and it’s an easy trap to fall into. So if people are going to get emotionally involved in blog posts anyway, why not take the high road and throw in a few positive ones once in a while? FlyLady, I have had this discussion many times. I do write the so called positive post, go back and search the archives. The problem is no one remembers them, and no matter what you write it will be seen as a negative for someone. I would also mention to Ryder that some of us can do many of the things they suggest, and write blogs. I go to events, I was out this morning putting up signs for a candidate, and I have three signs in my front yard. The point is not to get everyone to do the same things, but to get everyone to do something. Ryder may see no good from a blog, some see no use for road side signs. As for the good of blogs, well like talk radio that has an off button if you don’t like what you hear, a blog has an off button as well, it’s called don’t come here. I was out this morning putting up signs for a candidate.. Reality Rick, it’s about name recognition. I should have worded my comment better. I actually was not talking about your posts at all. I was just making a general statement. I only mentioned your name at the very beginning in response to your first post here, as I found it amusing. I should have been more thoughtful about how that would appear. Apologies! With that said, I do stand by my statement…in general, it would be refreshing to hear more positive stories than what we typically see on all blogs (not just DR). the last election i saw with no signs was a school board election that was won by noble prettyman. he had name recognition already. you may be right. In presidential elections, I go to the home of the editor of the sports department at The Washington Times and see what signs are in his front yard, and that’s who I vote for. Without signs, how could you possibly know who to vote for?